With this change in place, the test project fails to build as I assumed “int” return type previously. 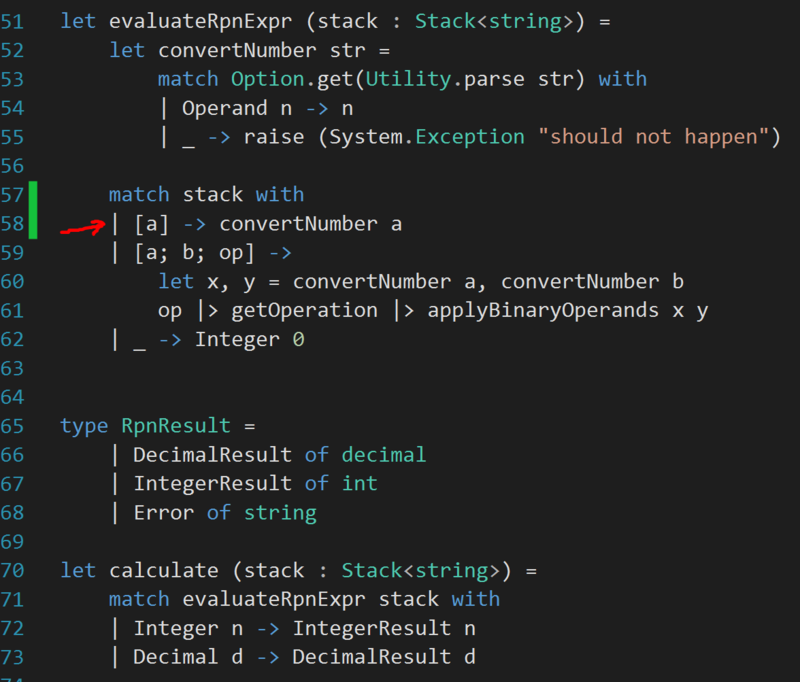 It is fairly easy to fix, by simply adding “Integer” in front of every expected “int” return type. I am not going to show that step. But, this link should turn out to be helpful if you fail to understand how to make the test project build again. Needless to mention, all the tests are still green. Surprisingly, current implementation passes almost all the test cases for this test, except for “2 + 1.4 = 3.14” and “2.6 + 3.7 = 6.3”. It took me quite a while to find out which should be surprising- the failing tests? or, the passing ones? Anyway, in summary, the reason for failure is- floating point numbers are handled a bit differently than we naturally assume about numbers. That’s why, although 1f + 2.14f == 3.14f , but 2f + 1.14f != 3.14f . The reason behind this is beyond the scope of this blog. This is another late realization that- I should really not be using floating point numbers. Decimal is always a safer choice if you can use them. Looks like I can. So, lets jump in and change all our float types to decimal. This is not a difficult task, but a time consuming one. So, I am not going to document it here. But, for interested readers, you can find the changes I made in this commit. And, with this change from float to decimal, all our tests green magically. 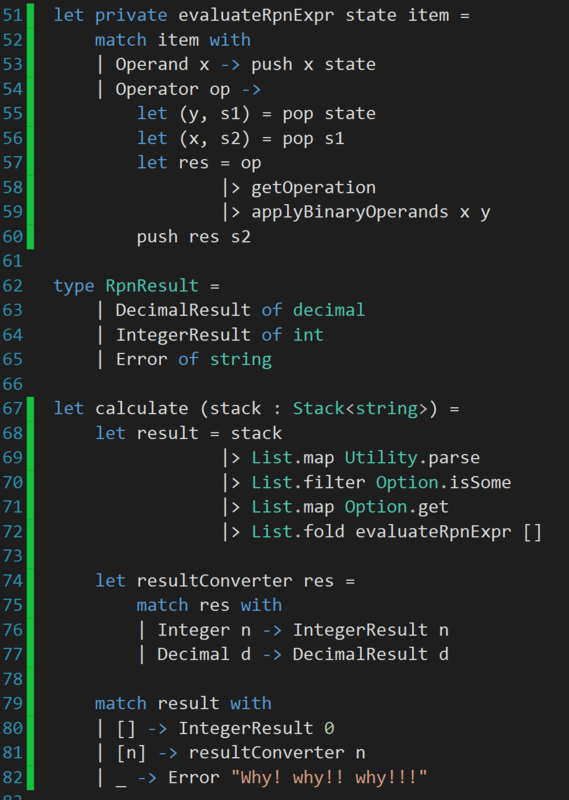 Looks pretty simple for a fully operational Rpn calculator. But, this is what makes all the tests pass. So, I am happy with that. I have changed the signature of evaluateRpnExpr and also made it private. The whole calculation looks much cleaner than the previous one. Let’s leave it this way in this part. We may refactor/reorganize it further once we add more functionalities to it.